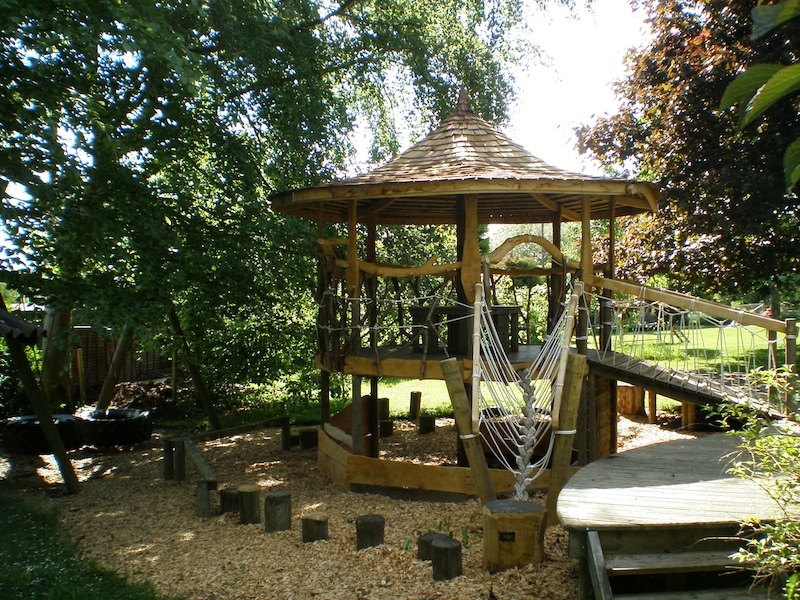 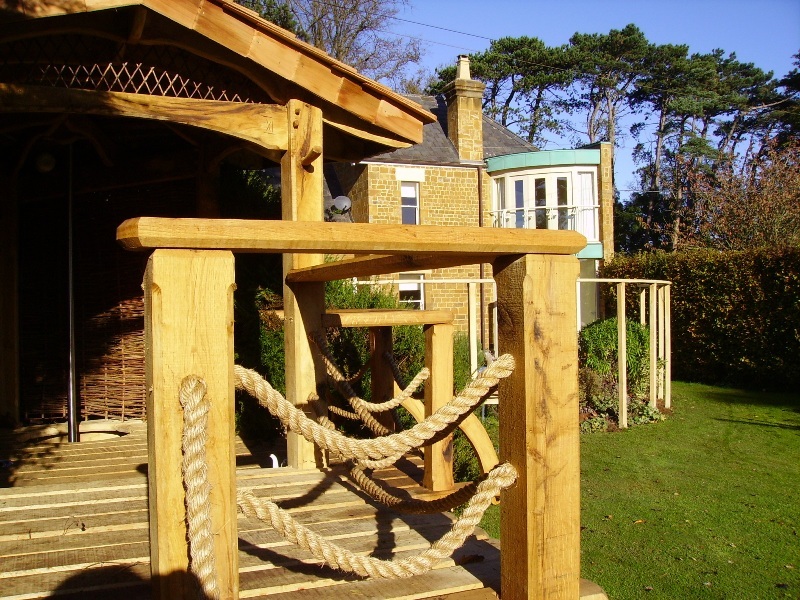 A playground and platform was built in 2000 out of treated pine wood. 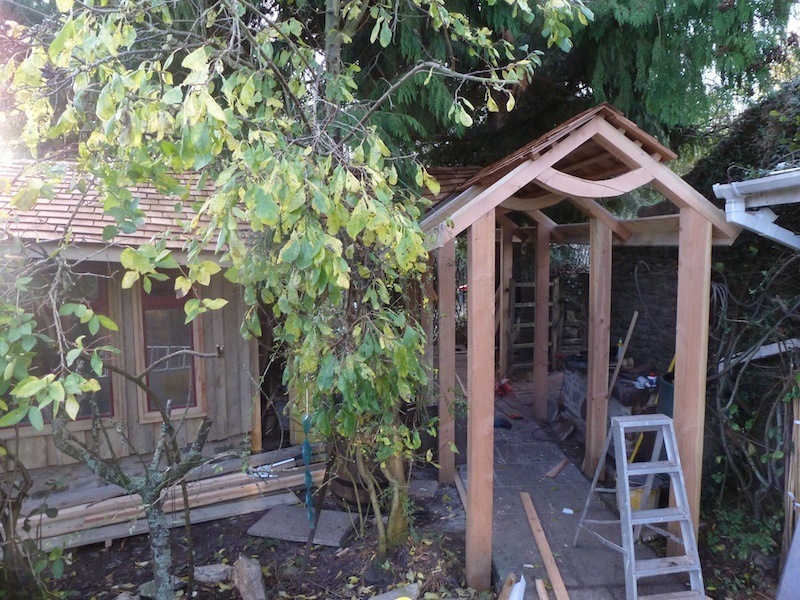 Left unfinished i was asked to finish and improve the structure. 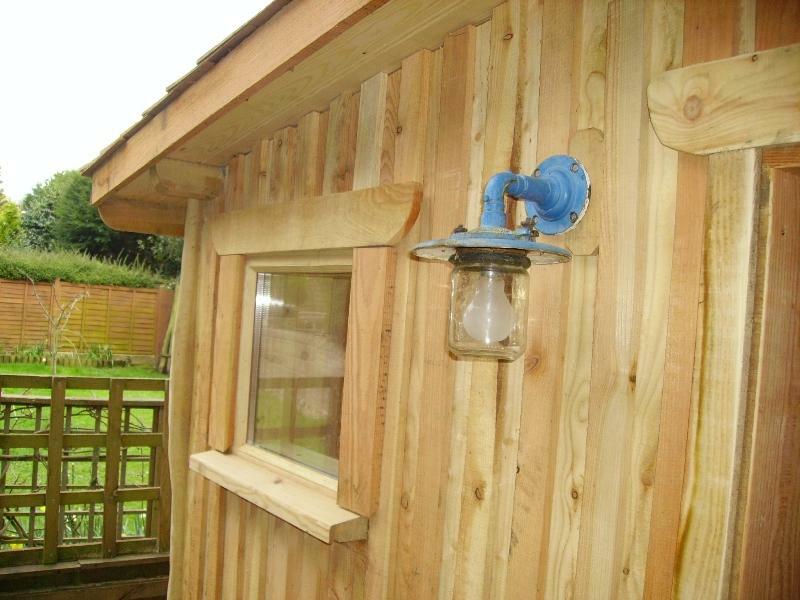 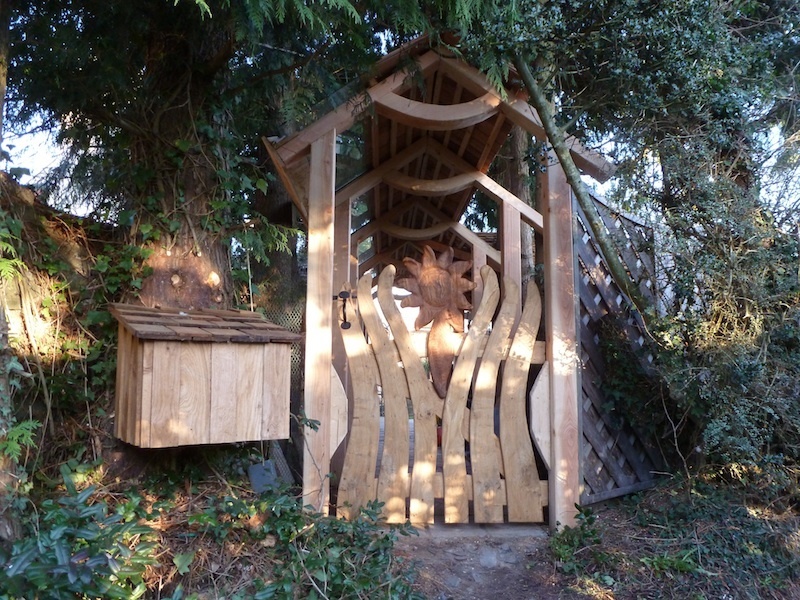 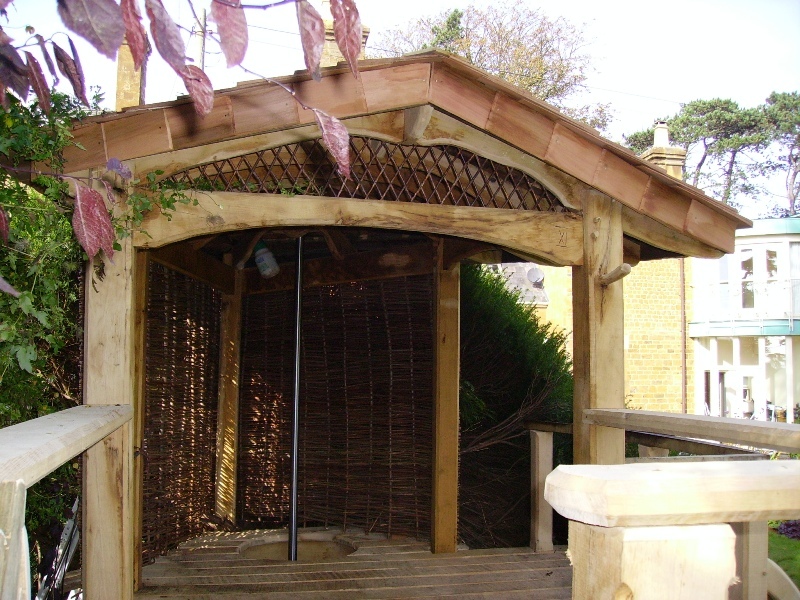 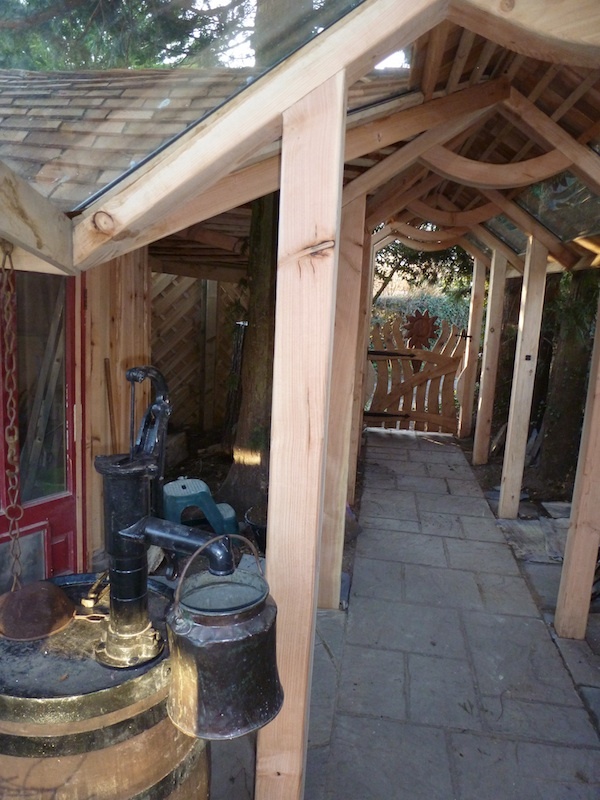 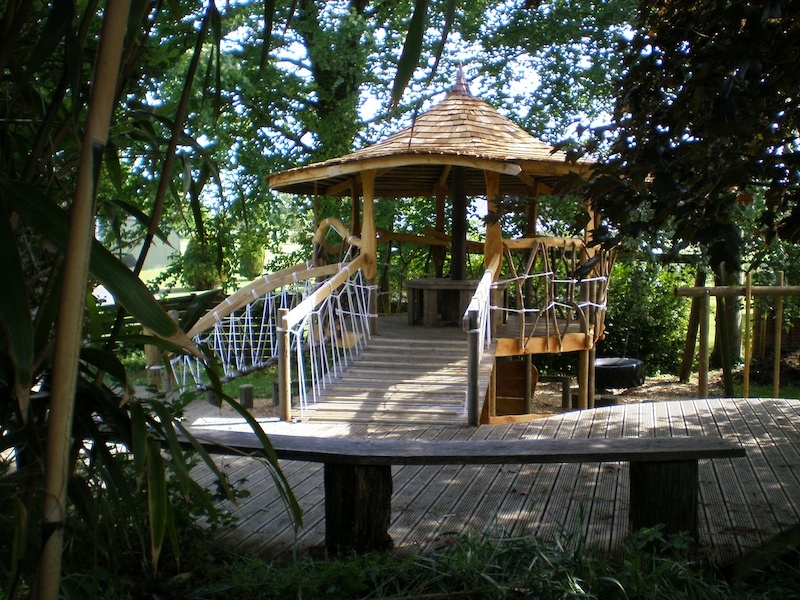 Combining oak with the existing pine wood to create an interesting and visually appealing structure, I then went on to add a rope bridge, cedar shingled curved roof with a copper tipped spire to make the area more attractive to the young adults with learning disabilities that live there. 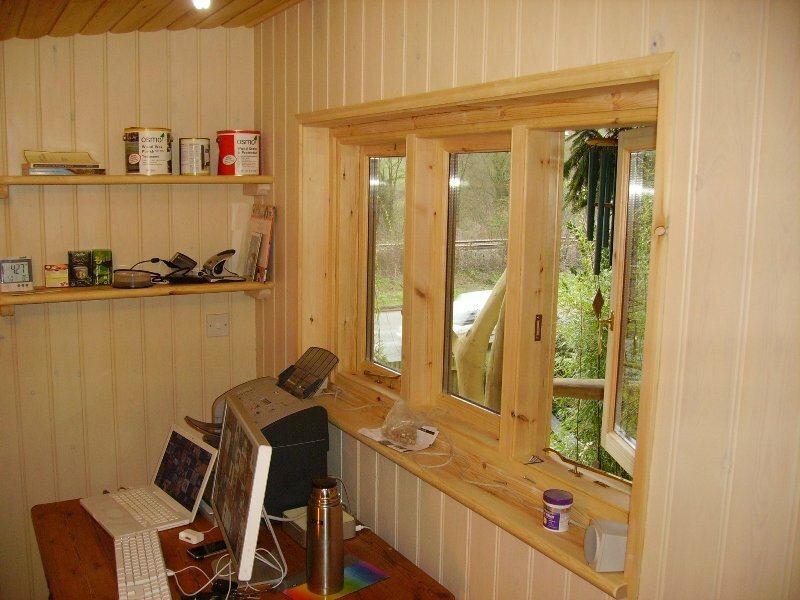 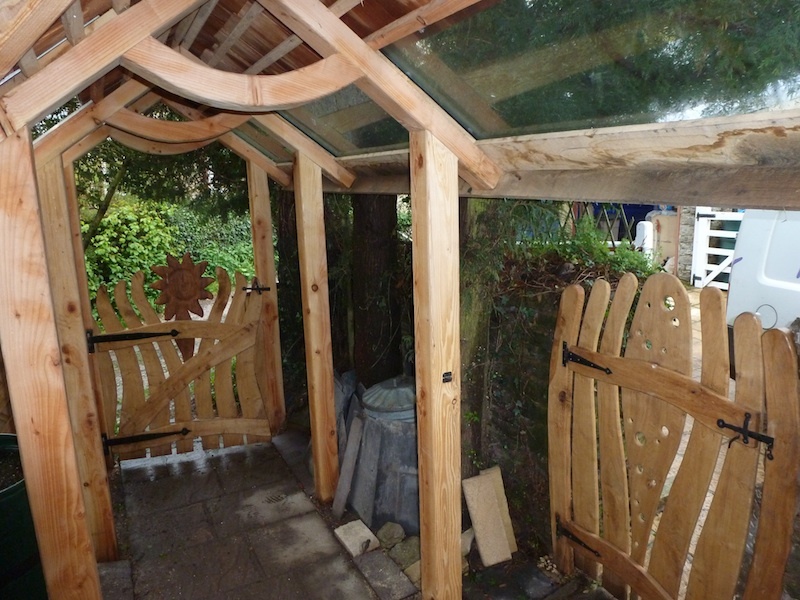 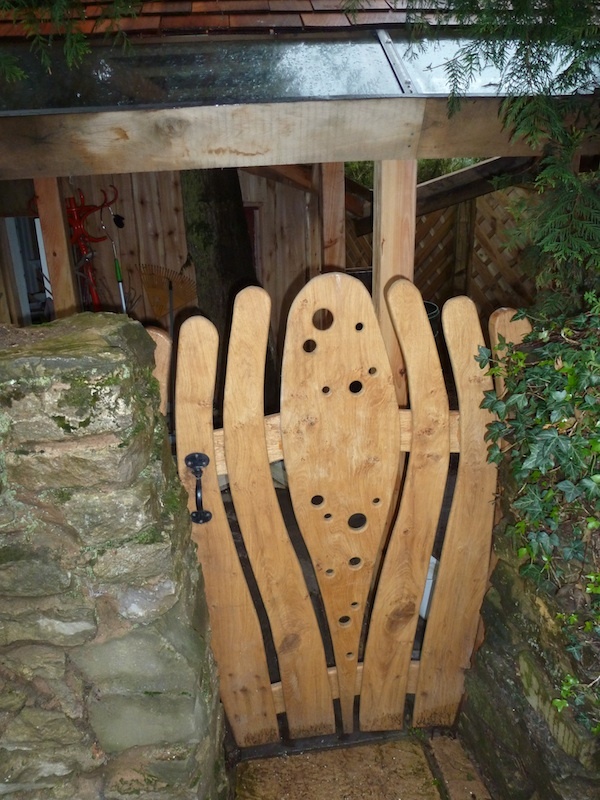 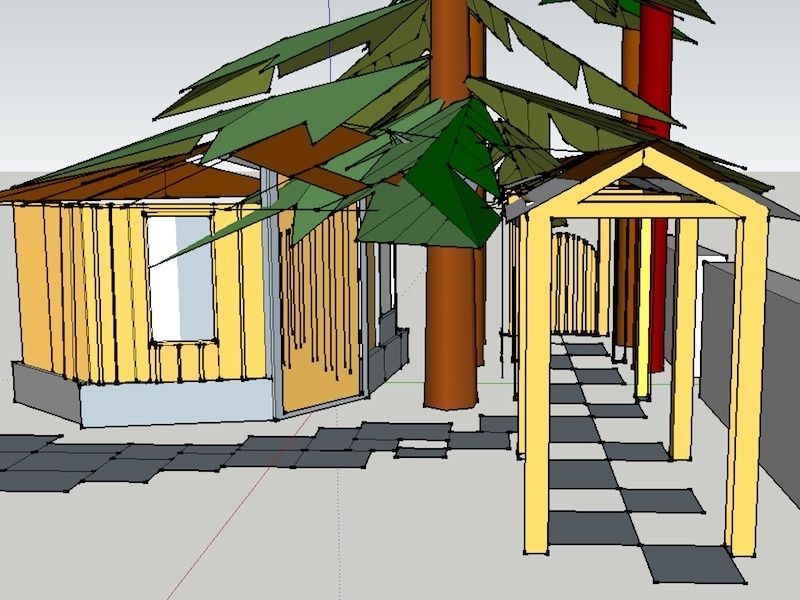 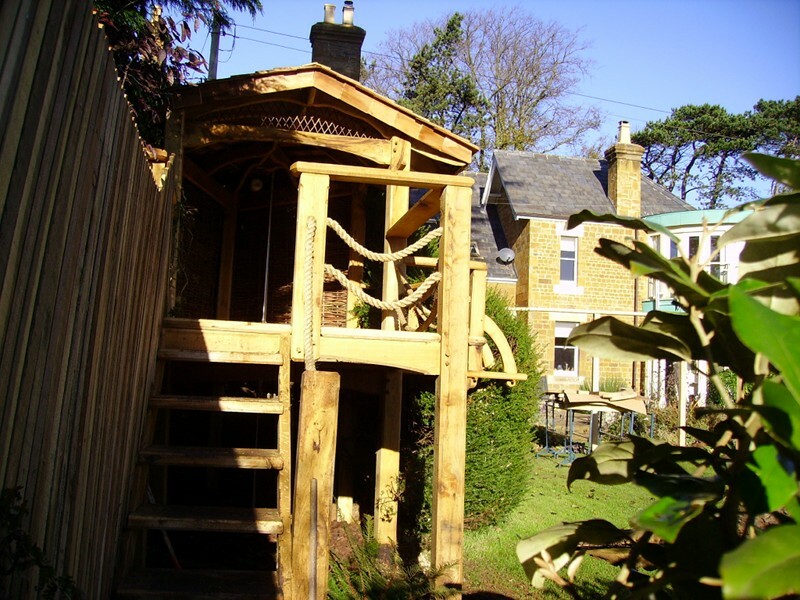 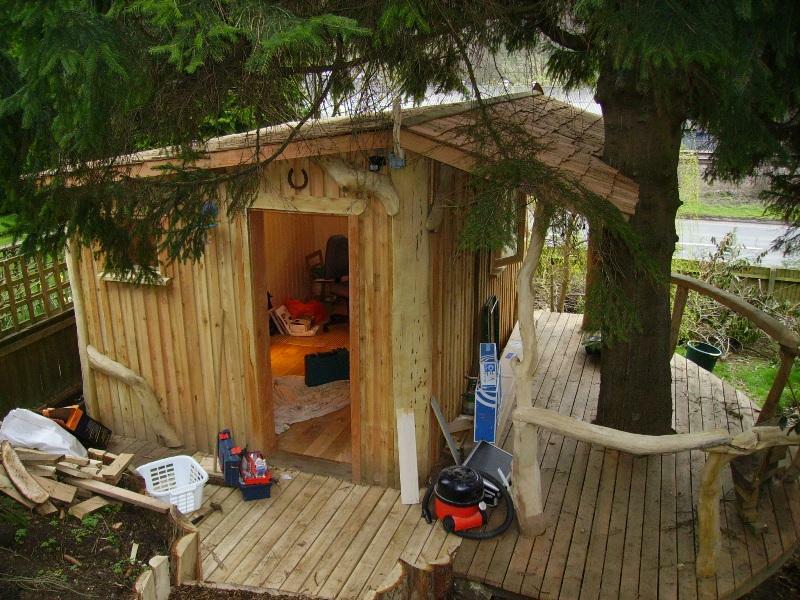 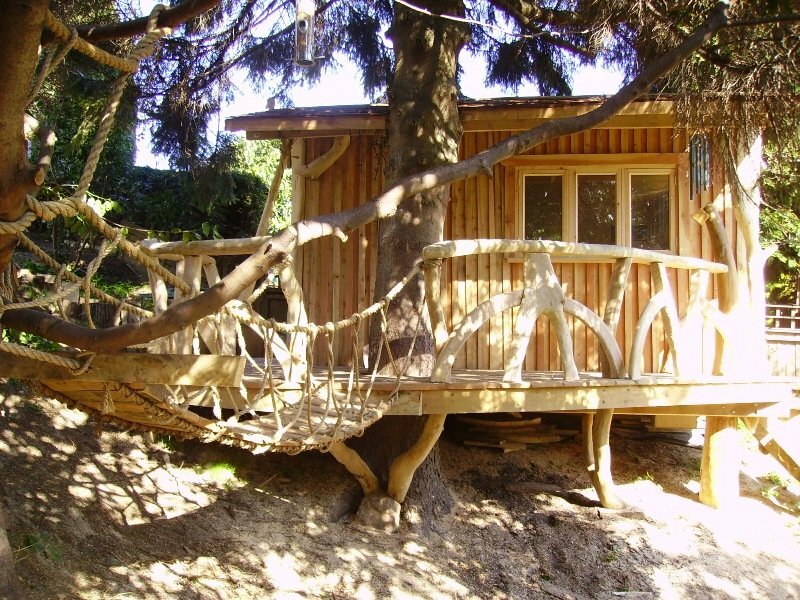 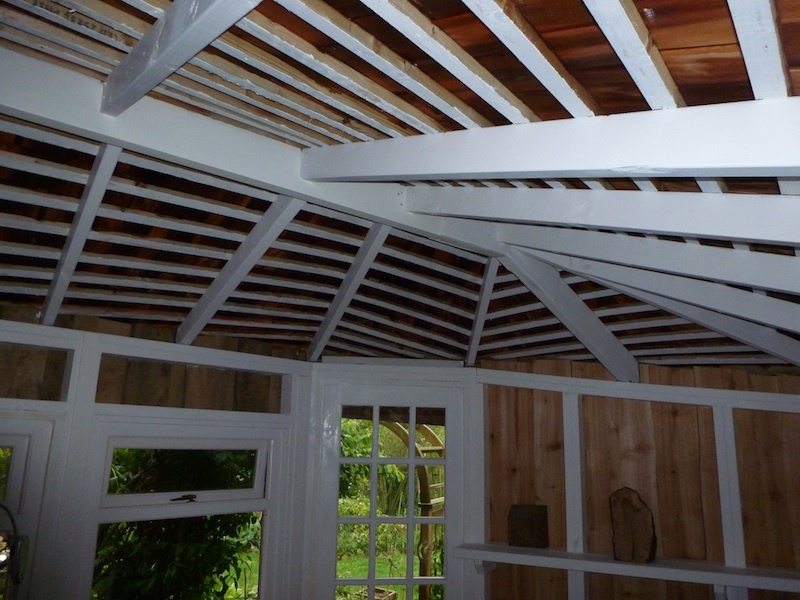 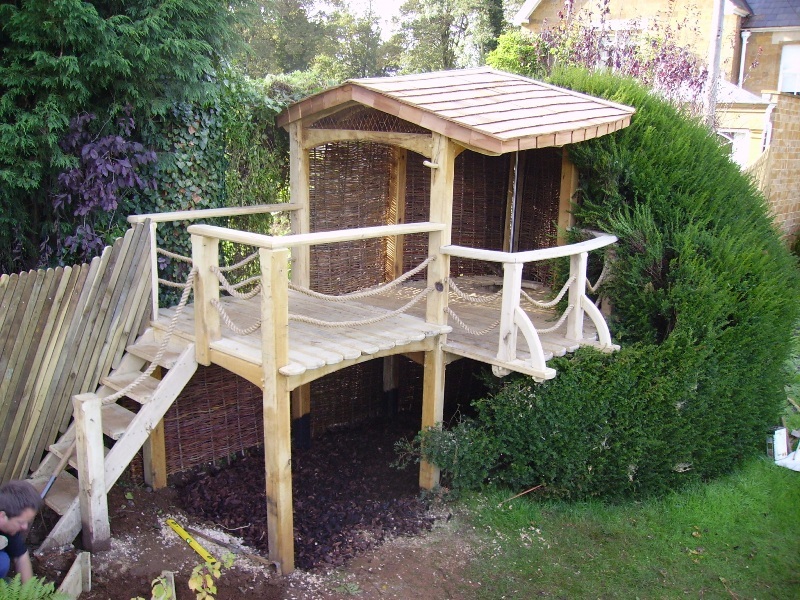 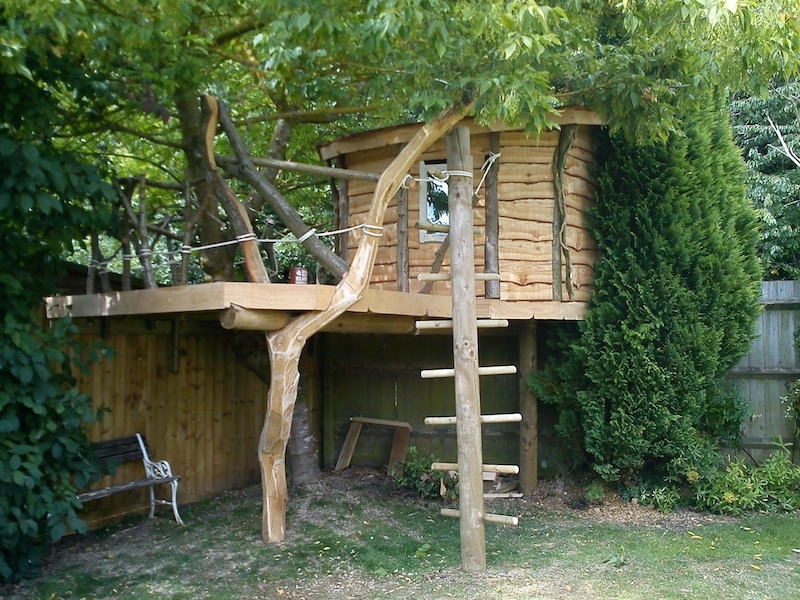 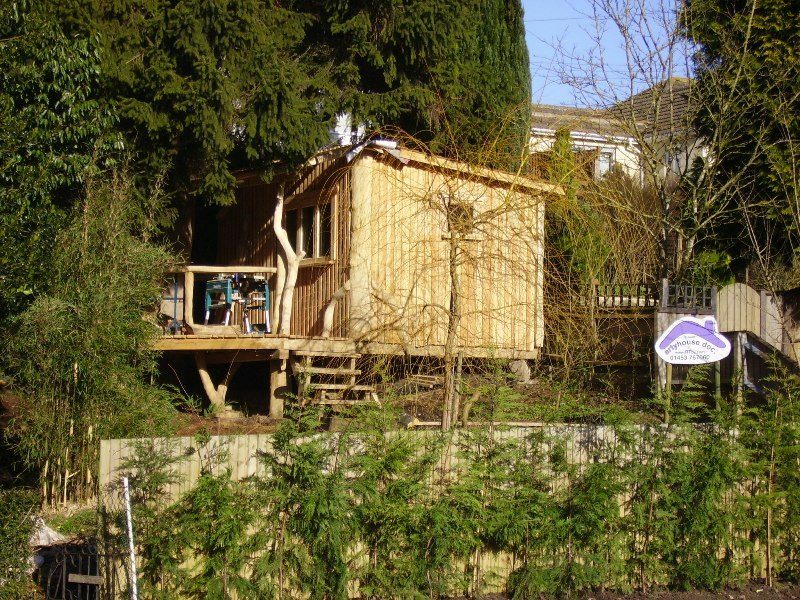 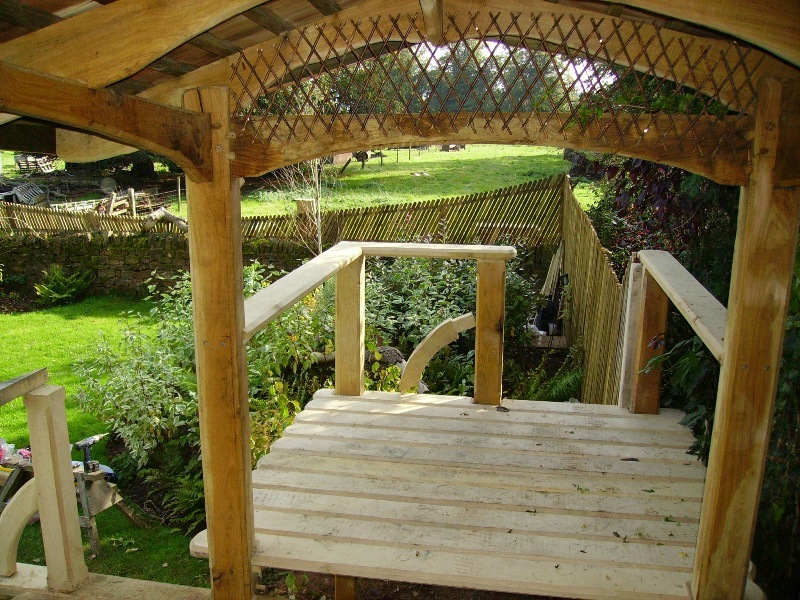 Solution: The customer requested to construct a garden studio under a 30-year-old Christmas tree, the internal dimensions were given and decking was asked for. 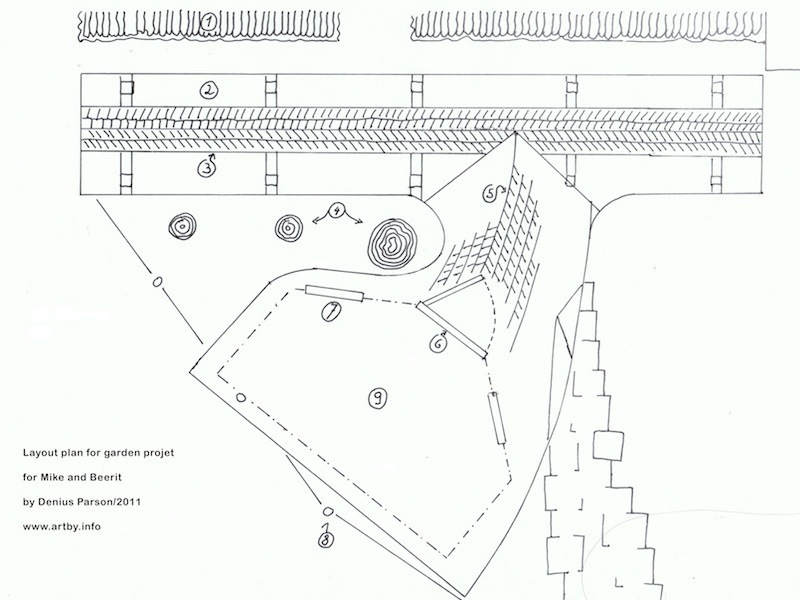 The rest was discussed so that there was a lot of freedom to build for the team. 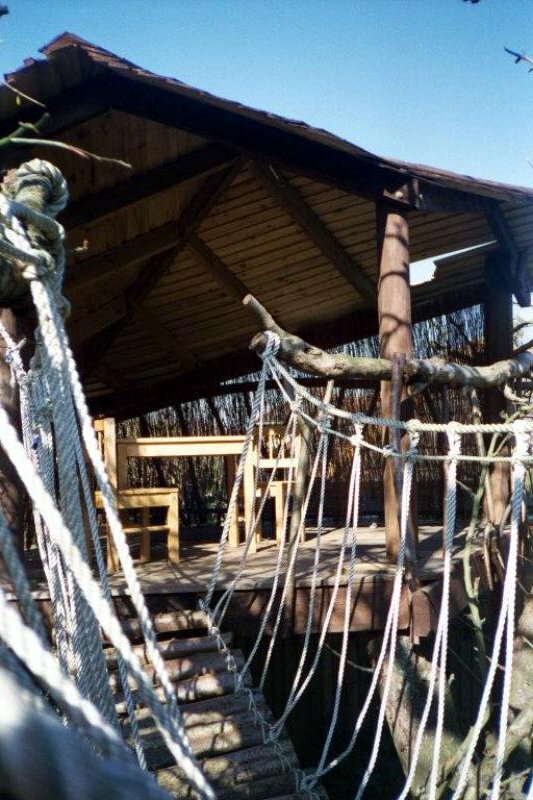 It was also fitted with electricity to make it a fully functioning office space, but just so the kids weren't left out there is a rope bridge extending out to a tucked away children's play space. 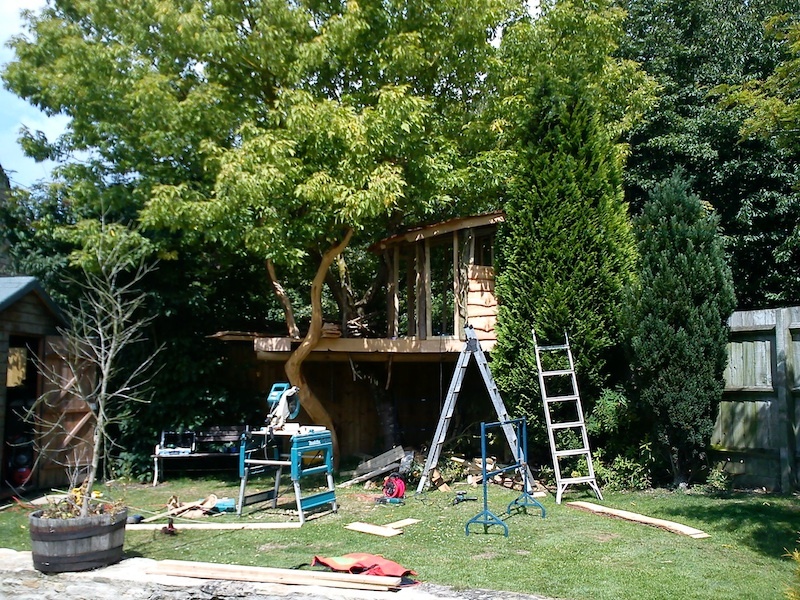 This job started as an evening project, and became a massive learning curve for me as the first in a long line of tree houses. 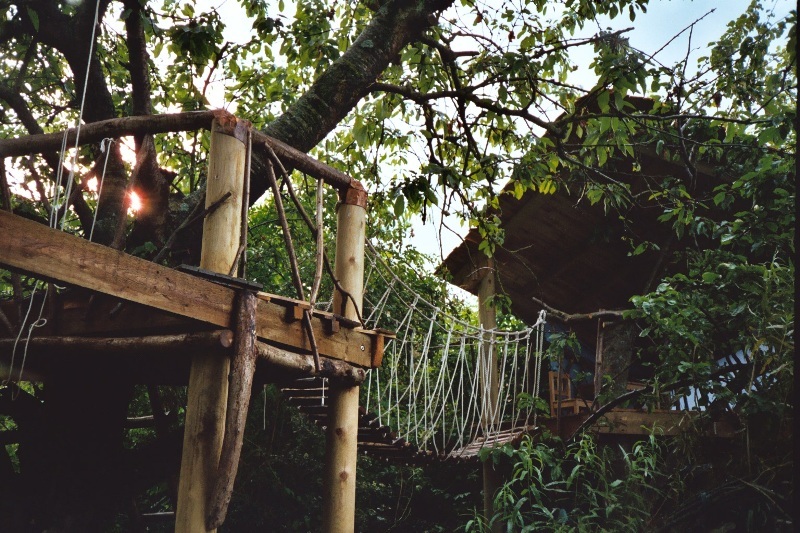 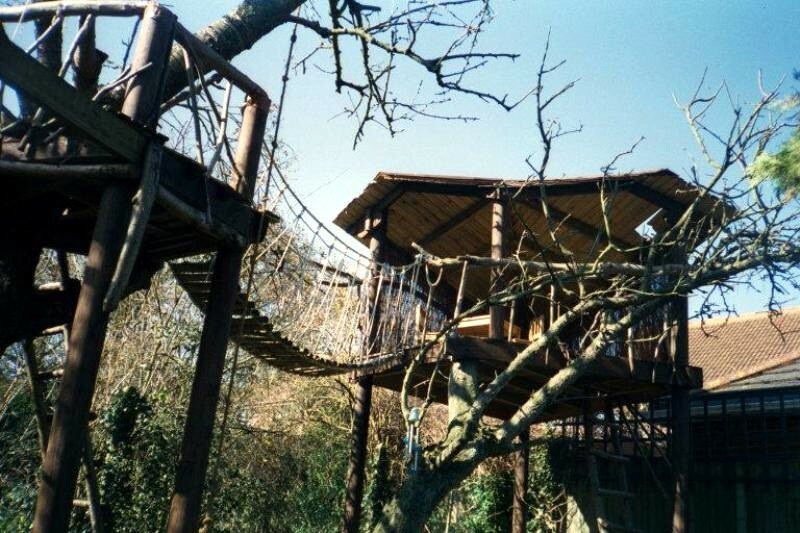 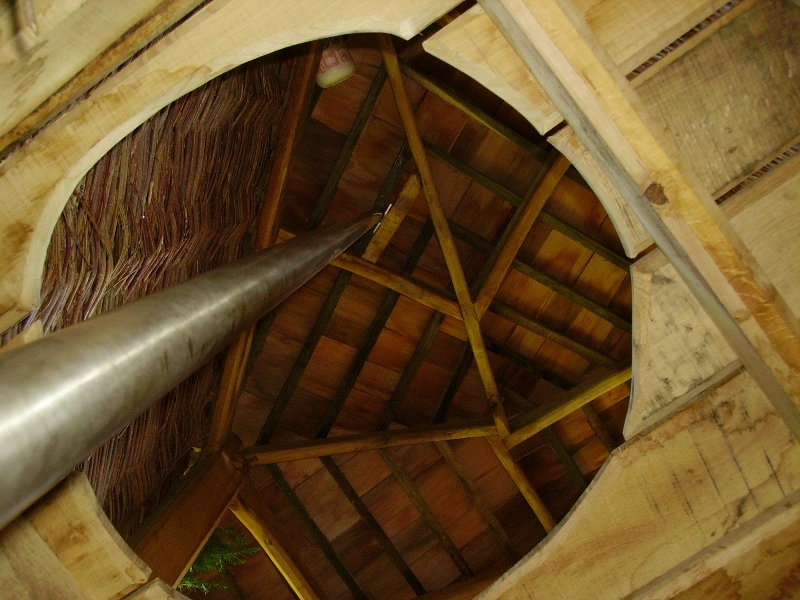 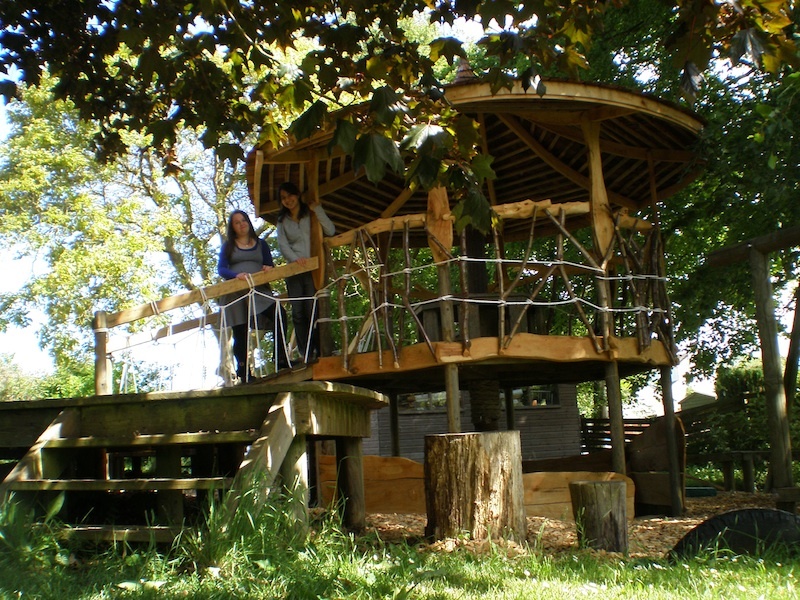 Four metres up in the trees, two little huts are connected by a rope bridge and the whole thing is made from recycled materials. 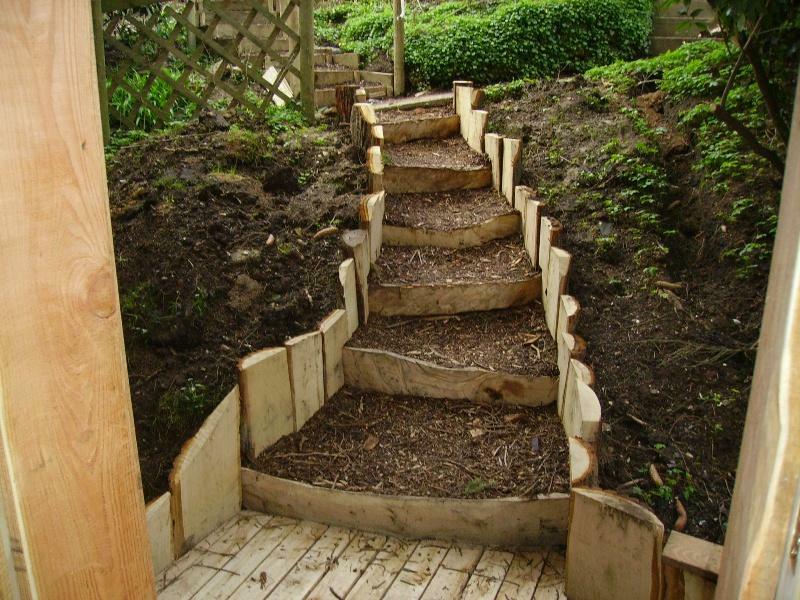 And believe it or not, this is apparently the hill that is infamously mentioned in the song “The Grand Old Duke of York”.